Come relax and unwind while your skin takes a break and becomes revitalized. This facial will be customized to accommodate your current skin care needs. Your skin will be assessed and the best treatment for your skin will be performed through a cleansing, exfoliating and hydration process. This facial is a staple to good skin health and will leave you with more hydrated, youthful looking skin. Guys… this one is for you! 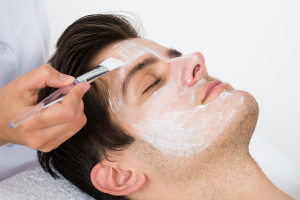 Come in and let our experienced, well-trained aestheticians perform this male-focused facial to help alleviate the signs of daily stressors in your skin. Not all skin is created equal and men tend to have different needs for their skin versus women. We at Azura understand that and would like to help you achieve your desired outcomes. Have a beard? No problem, we know how to manage and maintain that as well. We have the only Intraceuticals Oxygen Facial Treatment device in town. This no-downtime facial treatment is great as a monthly maintenance facial or as a “red carpet ready” procedure to be done before a big event like a wedding, graduation or a vacation. It is used to create a natural glow, smooth fine lines and put more bounce into your skin before events. It is routinely used by celebrities like Jennifer Lopez, Madonna and numerous Victoria Secret models in Miami, New York, and California. Lucky you can stay right here in Cary, NC to receive this luxurious treatment. Who do you recognize that delights in the use of Intraceuticals Oxygen treatments? Find out here. Struggling with teen or adult acne? This medical grade acne treatment will help to unclog the pores, remove impurities including blackheads, whiteheads, and pimples and detoxify the skin for better circulation to the face and adjoining areas. Get ahead of the continual cycle of breakouts with a one-time treatment or purchase a package of treatments. Say goodbye to unwanted, painful cystic lesions fast when adding on Kenalog injections as needed. Kenalog injections are $30 when added to any aesthetic treatment you are already in the office for and $45 for walk-in acute treatment with one of our providers. Meet with our highly-trained providers to discuss your acne and develop a plan of action to finally manage this socially impairing skin condition. 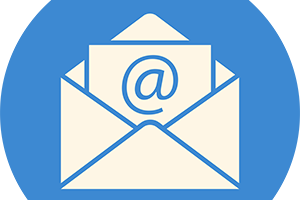 This consultation is $100, will only be scheduled with one of our medical providers, and medical and aesthetic treatment options will be discussed and prescribed as needed. An add-on Acne Treatment can be done this day for just an additional $50. Microdermabrasion, chemical peels and/or dermaplaning can be added to any facial treatment! Click here to learn more about dermaplaning services at Azura Skin Care Center.